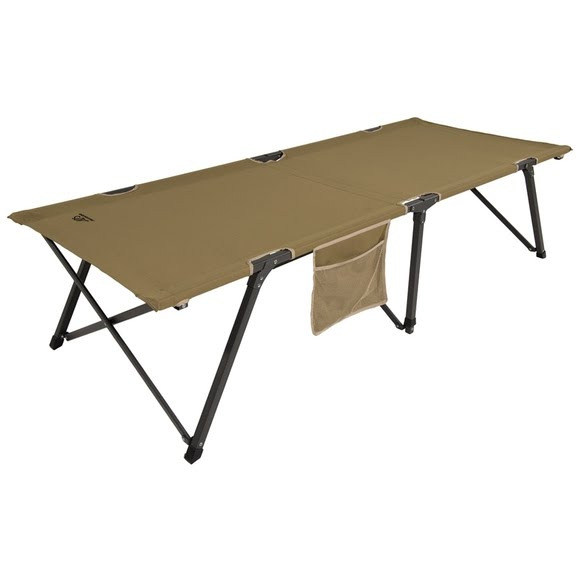 Have a good night's sleep on your next camping trip with help from Alps Mountaineering'sEscalade Cot. This sleeping cot features a angled end legs to prevent rocking as well as having a extra telescoping center support. Have a good night&apos;s sleep on your next camping trip with help from Alps Mountaineering&apos;s Escalade Cot. This sleeping cot features a angled end legs to prevent rocking as well as having a extra telescoping center support. Measurements 31" x 80" x 20"